1 Who is Willie Robertson? 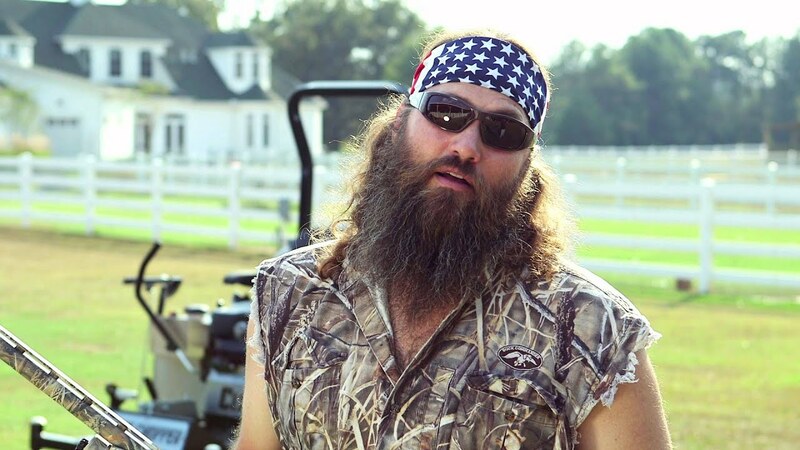 Willie Jess Robertson was born on 22 April 1972, in Bernice, Louisiana USA, and is an actor, author, businessman, hunter and television personality, but probably best known for being a part of the reality television series “Duck Dynasty”. He is the CEO of the companies Duck Commander and Buck Commander. How rich is Willie Robertson? As of mid-2018, sources estimate a net worth that is at $20 million, earned through success in his various businesses, plus a significant amount from his work on television. As he continues his endeavors, it is expected that his wealth will also continue to increase. Willie grew up with two older brothers and one younger brother. The family spent a lot of time outdoors, and at a young age the boys learned how to hunt. His father established a small business called Duck Commander which the siblings often spent their time at – Willie handled various tasks with the company, including business calls, and helping build duck calls which was the main selling point of their business. They were highly interested in developing the business further, but first Willie attended Harding University, later moving to NE Louisiana University to complete his education, graduating with a business degree, and would then start to consider how he could help the family business, eventually helping build Duck Commander from a small business into a multi-million dollar one, sp also increasing his own wealth significantly. He was given control of the family business, and eventually appointed as its CEO. With the business going strongly, he then tried to find other means to help further its growth. This was the time that he discovered television as one of the facets he could pursue. In 2010, Robertson made his first guest appearance in the series “Billy the Exterminator”, and then started working on a concept for his own television show. The show he would create would be “Duck Dynasty”, which portrayed the lives of Robertson and his family who found wealth thanks to the success of the family business Duck Commander. The show portrays the daily endeavors of the family and the business, which primarily makes products for duck hunters, especially duck calls. The men in the family are known for sporting long beards, and are known to be vocal about their Christian views. Prior to having a regularly produced television show, they had two specials on the Outdoor Channel called “Benelli Presents Duck Commander”, and a spin-off entitled “Buck Commander”. 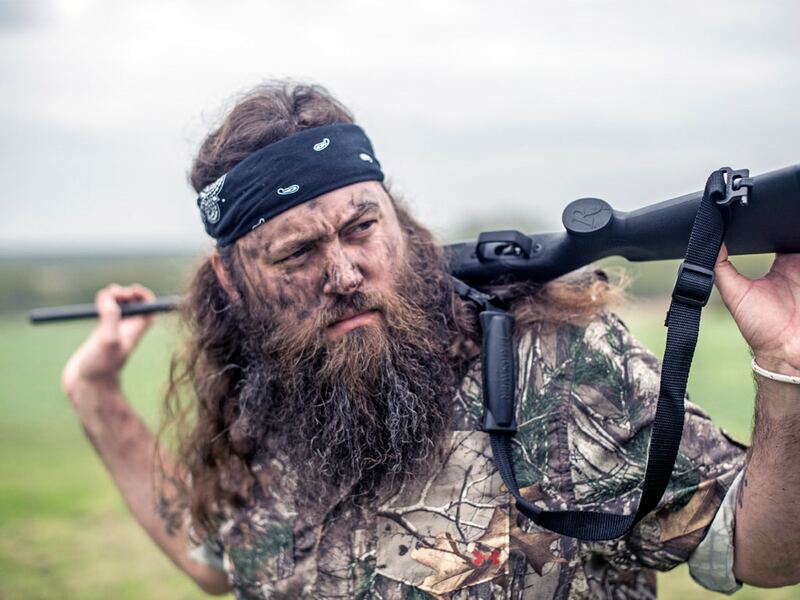 “Duck Commander” ran on A&E but the Outdoor Channel later retrieved the rights to re-runs of the show, which has broken several A&E and cable television records. However, it has had some issues, as one of the cast members, Phil Robertson, gave statements during an interview with GQ that were considered anti-gay, causing him to be suspended indefinitely. However, demand for him to return brought his reinstatement nine days later. During the first nine months of “Duck Dynasty”, the show earned $80 million in advertising, and sales of merchandise has helped them to $400 million in revenue within a year. The show would run for a total of 11 seasons, before ending its run in 2017 with an hour long finale. Willie also has another business called Buck Commander, which has its own series of DVDs, and was a part of Outdoor Channel programming. He also appeared in an episode of “Last Man Standing”, and made a cameo appearance with his wife in the Christian film entitled “God’s Not Dead”. During the 2014 State of the Union Address by President Barack Obama, he was invited to be a guest by US Representative Vance McAllister. For his personal life, it is known that Robertson has been married to Korie Howard since 1992; they have six children, two of whom are adopted. The family is very vocal about their Christian faith, and he often preaches it to others; he is a member of the Church of Christ. Robertson is almost always seen wearing a white suit jacket and an American flag bandana on his head. His style is often compared to the character Boss Hogg from “The Dukes of Hazzard”, of which he is a fan . Many of his family members including him have beards similar to those sported by the rock band ZZ Top. Willie is very active online through social media, having accounts on both Facebook and Twitter. He usually promotes some of his endeavors, particularly recent episodes of the show “Buck Commander” which has turned into an online web series. He’s also attended several sports events, as can be seen in online pictures he’s posted.